OUR ANNUAL FUNDRAISER FOR KIDS ACROSS CULTURES AND HELPING HANDS OF HICO! 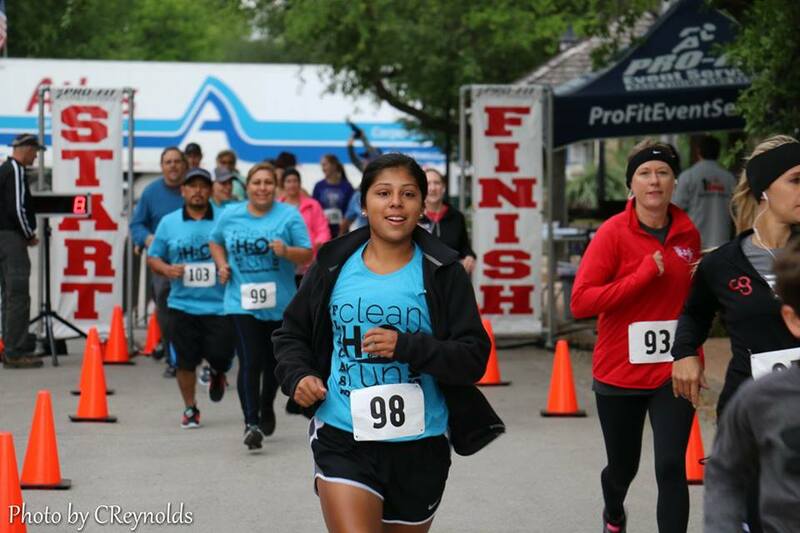 Join us on Saturday, April 27, 2019 for our 3rd Annual Flacas Clean H2O 5K, 10K, & Crazy Wheels Fun Ride to raise money for clean water projects around the world and people in need here in Hico. Day-of registration, and packet pick-up, will be 4/27, between 8:30am-8:55am, at Flacas Fitness & Brews, 110 N Pecan, Hico, TX. After 4/1, prices go up $5. This includes: SWAG bag, participant medal, and post-race refreshments including free breakfast tacos and beer (21+ years old)! Register by 4/14 to also receive a t-shirt. The 5K & 10K are both chip-timed races, timed by Pro Fit Services. Crazy Wheels is a non-timed just-for-fun ride. Ride our 5K route on any non-motorized wheels of your choice – skateboard, bike, scooter, rollerblades, and such. Dress up yourself and your wheels and have fun! Entries will be judged and the one deemed Craziest Wheels will win a prize. No price increase. Register by 4/14 to also receive a T-shirt. Share our run with your friends and enjoy the day together! Each registrant will receive a unique code after registering. Share this on social media! If you get four friends to register using your unique code, you’ll receive $20 back from your fee. Stay at Bosque river rv park”, then spend the morning running and the afternoon shopping in downtown Hico. We’ll have live music at Flacas Fitness & Brews from 1-4pm, featuring Holli Garet. The RV park is having a VW Spring Campout the same weekend!